Have you followed the instructions here...? 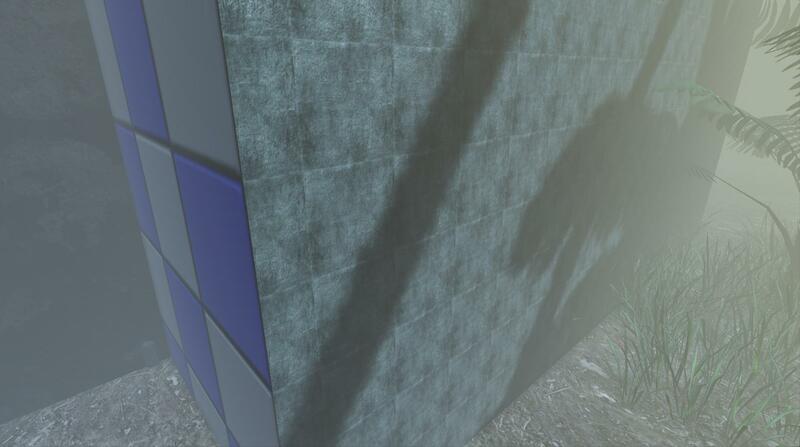 I would hazard a guess that the diffuse overlay parameter isn't ticked on and the overlay is in the base texture slot. Shouldn't be an issue if you created a MIC from an existing skin, but I can't really tell what else could be going wrong without a screenshot of your material setup. Well I didn't even know we had a wiki already, guess I'll read that when I get some time. I've been able to get the base working if I import my skin in an already existing texture rather than just using the import button and creating a new one. This was probably mentioned in the tutorial I was following but was too derp to figure that out. is there anyway to use trees with foliage so you cant walk through them? The foliage tool does not properly support collision, which is why trees / interactive actors need to be hand placed. Thanks. Also is there anyway I can find the new human animations? and make guns go into their hands automatically? Anyway I can get fish to swim in pools of water like the brachy walks along on docks? so it plays a animation? Is there anyway to add NPCs that move? e.g the brachy I would like to do that with a compy. Question 2: Anyway I can place fences down with a brush or something? same goes for trees. Its so slow placing manually. I wouldn't recommend putting the trees in the foliage brush tool, as it would look perhaps too dense and unfitting to the environment you are trying to make. Not to mention too many trees can make it very hard to move, like the Tyrants on forestchasm. We don't really have "NPCs".. the Brachiosaurs are just animated models that move on a track, like the rides at Universal Studios. They go back and forth and sometimes do a specific animation. To do this, you place a skeletal mesh in your map, then with that selected create a movement track in Matinee, setting keyframes on the timeline and moving it to a new location. We try not to add these "NPCs" very much because Matinee is not infallible and there's always the potential for the sequence to mess up. Hopefully we might get support for placing actual NPC AI outside of Survival at some point, but knowing that each AI dino in that mode is roughly as expensive as adding another live player to the game, we still probably wouldn't use it extensively. Welcome to our world. And as I pointed out, the foliage tool DOES NOT HAVE COLLISION. You would be walking through anything you placed down. Im really bad with kisment. Is there any vid on it? also how do I make it so the AI isnt stupid and actually attacks for survival. I messed up my anim set and now cant see any of the animations. Anyway to reset it? also how do you make sequences eg I wanna make a video/trailer on my map. If any part of the editor UI is messed up, the best thing to do is delete your configs in PrimalCarnageGame/Config. As for Kismet and Matinee, we don't have any good tutorials yet but you can check out some YouTube tutorials or check out the UE3 documentation. Thanks. Will map workshop be added this update? I get a error when I play my stego in kismet it says it may not show in game and says change the physics. How will I do this???????? How does the fade tool work? put down a track for it and a time for it to fade but doesnt work. I just download an update from Steam to a clean directory and it never comes up. It spawns 7 processes of UDKShaderCompileWorker.exe that consume a lot of CPU bandwidth but no editor. Have repeated three times. Any ideas whats happening? How would one snap, say, falcon feathers or quills on to a Novaraptor model? I want to know so I can pose it correctly, since without the feathers snapped/attached I cannot do that if I don't want floating feathers or no feathers at all.